Companion Paws is dedicated to supporting Canadians in need while providing a second chance for pets by rescuing, pairing and training them with those who would benefit from a companion therapy animal through TLC’s Companion Paws Personal Therapy Dog Adoption Program. We work with rescues across Canada to rescue dogs and pair them with their new owner based on each individual’s personality and temperament. Every individual, human or canine undergoes an intake assessment with our experienced staff so the most suitable match can be made. Once a match is made, we support the new pair through training and obedience assessments. The level of training needed to complete the program is set by TLC Foundation, while the temperament assessments and final evaluations are performed by very experienced, professional trainers and behaviorists. Upon completion and passing of the therapy dog evaluation, the new certified team will receive a CPC Therapy Dog Vest, Identification Card and Certificate of Registration. Please thoroughly read through this page about the complete program process Twice before applying. Personal Therapy Dog (first program of its kind in Canada): A personal therapy dog (Companion Paws emotional support dog) is a trained, temperament tested, assessed, evaluated and certified dog that brings benefits to their owners/handlers that struggle with mental health conditions. Step 1 – Complete and submit the application online with all required supporting documents together. Step 3 – Moving forward, the payment of $2000 is to be made by E-transfer, Credit Card or Cheque and the contract signed. Step 5 – When payment from the applicant has been received, the intake has been completed and the applicant is approved, the dog search process will begin within 2 weeks. Step 6 – An assessment may be scheduled with one of our Companion Paws Team Assessors on the phone or in person to further ascertain a suitable dog match for you and your family. Step 7 – Once the Assessor has ascertained the criteria for your dog, the search process of adoption will begin. Step 8 – Once a suitable dog has been found, we will work directly with you and the Rescue and Foster parent to confirm suitability. The rescue may want to perform a phone interview to help us ascertain the best forever match. You may need to provide pictures and/or videos of your home and details of where your newly adopted dog will be living. Some may request a home visit. Each rescue that we work with have very kind, compassionate and dedicated volunteers. The rescues have independent organizational policies that we follow in the best interests of all parties involved. Step 9 – Prior to the final adoption, an assessment will be performed for further confirmation of temperament and suitability. Step 10 – Upon confirmation of suitability, the dog will be placed in his/her new forever home. Step 11 – After a minimum 2 weeks down time for the applicant and their new forever best friend, the handler and their new dog will be required to take training classes with one of our endorsed trainers in their local area. Companion Paws Adopters will be scheduled for group Obedience Classes and Group Advanced Training Classes. Step 12 – Once training is complete and your dog is very well trained and ready, the handler will be registered into TLC’s Companion Paws Therapy Dog Skills Training Online Course. Step 13 – Once you have successfully completed TLC’s Companion Paws Skills Training Online Course, the handler will schedule a Temperament Assessment with a local Companion Paws Assessor a minimum of 1 week prior to a TLC Companion Paws Therapy Dog Final Evaluation. Step 14 – When an applicant passes the Temperament Assessment, they move forward to the scheduled date for the Final Evaluation. Step 15 – When the handler and dog pass the Companion Paws Final Evaluation, The LifeLine Canada Foundation will forward documentation by email, to be completed by the handler and returned by email with all required supporting documentation. Step 16 – Once all registration documentation is received, the handler will be mailed a Companion Paws Therapy Dog vest, Identification Card and Certificate of Registration. Step 17 – Continue to maintain and keep up with training at all times. Step 18 – Complete a follow-up call with a Companion Paws team counsellor, post certification within 3 months. Step 19 – Complete online follow-up form every 6 months. Step 20 – Complete all annual requirements for Companion Paws Personal Therapy Dog Registration, including annual renewal of $95 and annual re-assessment. The annual renewal fee covers the cost of the annual re-assessment. Step 21 – Keep up on skills training at all times for the life of the dog to keep the amazing connection and bond. 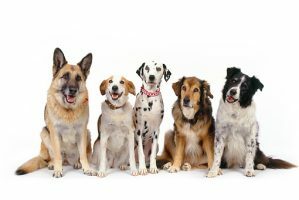 Please have your licensed and registerered counsellor/therapist/psychologist/treatment provider, write a letter stating your diagnosis with a recommendation for a personal therapy dog (emotional support dog), on professional letter head with date, contact details, business practice and license with the licensed provider’s signature. If you rent the home you live in, you must include your landlord’s permission letter with your application (there is a section for uploads during the process). Any applications with missing information will not be reviewed. Why Do You Need All This Info? Animal Assisted Therapy is a therapy by which animals are used in treatments of individuals that would benefit, whether for themselves or for others. Our Companion Paws program works with three types of Therapy Dogs; Personal Therapy Dogs, Assisted Therapy Dogs and Visiting Therapy Dogs. Therapy dogs are friendly, patient, confident, gentle, and at ease in a variety of situations. What is a Personal Therapy Dog? A personal therapy dog is a trained, evaluated and certified dog that brings benefits to their owners/handlers that struggle with mental health conditions. For Personal Therapy Dog certification, you must have a letter from your current mental health professional on letterhead, with date, signature, your name and why a therapy dog would benefit you. For the Companion Paws adoption program, you are also required to submit a permission letter from your landlord that allows your dog, if you do not own your own home. What is a Visiting Therapy Dog? Typically, Visiting Therapy Dogs visit hospitals, schools, hospices, nursing homes and more. Unlike service dogs, therapy dogs are encouraged to interact with a variety of people while they are on-duty including petting the therapy dog. Visiting Therapy dogs may also visit schools, daycares, group homes and rehabilitation centers. Their roles vary from dogs who give learning disabled children the confidence to read out loud, to actively participating in physical rehabilitation therapy. In some cases, a therapy dog will work in an establishment exclusively, such as a psychotherapy practice. To qualify as a therapy dog, the dog must have an up to date medical health records letter from his or her veterinarian and must have no aggression towards people or other dogs (including un-neutered male dogs). What is an Assisted Therapy Dog? Assisted Therapy Dogs join their handler/owner (typically educators, teachers, psychologists, counsellors and doctors) at their workplace to help their students, clients, customers and/or patients. To qualify as a therapy dog, the dog must have up to date medical health records from his or her veterinarian and must have no aggression towards people or other dogs (including un-neutered male dogs). What are the Benefits of a Therapy Dog? Therapy Dogs are trained and tested in therapy companion obedience. Interaction with a Therapy Pet provides therapeutic, motivational, educational and recreational benefits to enhance quality of life. Therapy dogs provide help to people with a variety of noticeable and not so noticeable mental and emotional disabilities. These can include stress, depression, anxiety, personality disorders, social anxiety disorders, and much more. What is the Companion Paws Adoption program? Companion Paws Adoption is a program dedicated to supporting Canadians in need while providing a second chance for pets by rescuing, pairing and training them with those who would benefit from a companion therapy animal. Is this the only program in Canada that works with Personal Therapy Dogs? Yes. The LifeLine Canada Foundation’s Companion Paws Personal Therapy program is the only and the first of its kind in Canada to place and work with Personal Therapy Dogs (Companion Paws emotional support dogs). What are the guidelines of a Companion Paws Adoption Personal Therapy Dog? Some of our strict guidelines we adhere to include; calm temperament, friendly and loving with all adults, children and animals, healthy, non-aggressive, 20-50 pounds, a minimum of 1.5 years old and spayed or neutered. Is TLC’s Companion Paws Adoption program available across Canada? Yes, the Companion Paws Personal Therapy Dog Adoption program is available across Canada in any location. Do I need a letter from my current Mental Health treatment provider for a personal therapy dog designation? Yes. The letter must be on letter head from a registered and licensed mental health treatment provider, psychologist, psychotherapist, counsellor or mental health treatment therapist. It must include the date, contact details, license/registration number and details of a recommendation for a therapy dog with stated conditions. The cost is $2000 and includes, the search, adoption, health records, spayed/neutered, obedience/manners training, advanced training, temperament assessment, final evaluation, official Companion Paws Therapy Dog vest, identification card, certificate of registration and ongoing support for the life of the adopted and registered Companion Paws Personal Therapy Dog. How long does it take to get a Companion Paws Adoption Dog? The process of the adoption search begins within 2 weeks’ time from time of approval. We would not stop searching until an appropriate dog has been found for you. It can take between 2 weeks and 3 months plus. It depends on the available dogs in rescues at the time we start the search. .
From where do you adopt Companion Paws therapy dogs? We adopt from rescues and shelters across Canada. Where will training take place for Companion Paws Adoption Dogs? Training will be scheduled with an experienced and qualified trainer that is local to where you live. Once I have my Personal Therapy Dog, will you continue to help me if I need it? We are always here to support all of our Companion Paws Therapy Dogs and their handlers/owners for as long as they are part of the Companion Paws program. Great with people of all ages and not aggressive to people or other dogs. Clean and healthy with up to date vaccinations. We facilitate Obedience/Manners dog training as well as Advanced dog training for clients of our Companion Paws Therapy Dog Adoption program. Have there been any adoptions that have not passed certification? Choosing the right temperament is everything. Behaviors can be trained. All our chosen Companion Paws dogs will bond with training and sustained training. This creates and builds a strong bond for life. We have not had any adoptions that have not been able to pass the final evaluation for certification. There are however, no guarantees. For success, it is up to the handler to be dedicated, committed and sustain training at all times for the life of the dog. If at any time the dog and handler are not ready for certification, we continue working on those behaviors until ready to move forward. We are here for success and will guide you the whole way. What does the Final Evaluation entail? The final evaluation includes 17+ tests. Therapy Dogs must receive 100% on the test. What laws protect Therapy Dogs and their handlers? Therapy pets DO NOT share the public access rights granted to service pets and may be denied admittance to public places. Companion Paws pets do not have special privileges beyond those granted to any other pet in public places, on public transportation or in private buildings such as apartment blocks where the keeping of pets is restricted or prohibited. Some airlines will allow small support dogs to fly in the cabin if they fit in a carrier at the traveler’s feet. How do Companion Paws standards compare to other organizations? Companion Paws uses the highest standards of testing available. Why have I never heard of the Companion Paws program? Companion Paws is a new program which began in late 2017 and is the first of its kind in Canada for Personal and Assisted therapy. Are there annual fees for Companion Paws Therapy Dogs? Yes, the annual registration fee is only $95 for all Companion Paws Therapy Dogs and includes an annual temperament assessment. Do I have to retake an evaluation during the life of the certified Companion Paws Therapy Dog? As a certified member of Companion Paws, you will be required to retake an evaluation and or temperament assessment, at the time of renewal or at TLC’s discretion, if potential concerns arise. The renewal fee covers the re-assessment. Do you have any recommended reading about dog training? How can I contact you if I have any more questions about the Companion Paws program?